Students interested in participating in the 2019 Powderpuff Football Game, click HERE for more informaion. The NPHS Work-Based Learning program is now accepting applications for next school year. The website to apply is nphswbl.weebly.com. For more information, see this attached flyer. Applerouth provides online practice for SAT and ACT. Students can access their accounts by logging into www.applerouth.com/northpaulding then click 'I don't know my user name'. From there, they input their student ID and year of graduation. Did you know that PCSD offers the Microsoft Office Suite free to all of its students? Follow this link for instructions on how to download this software. 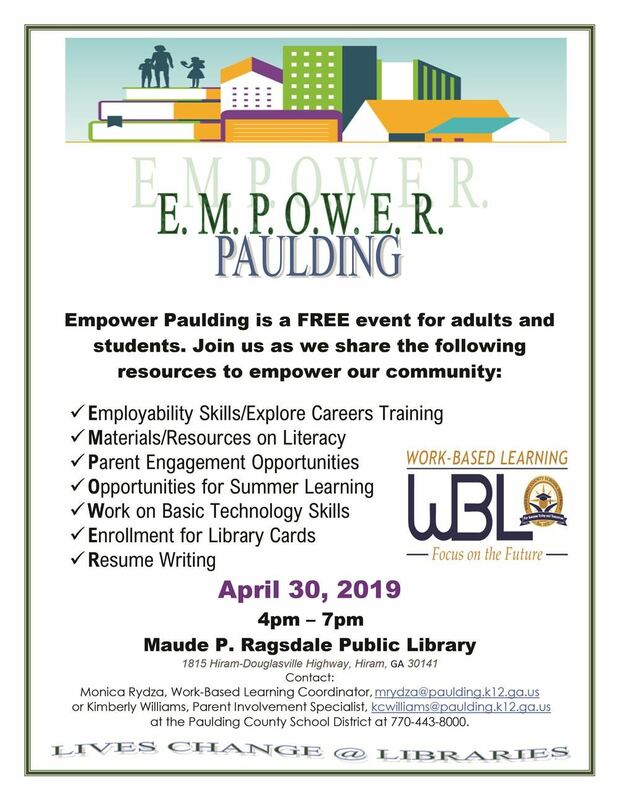 Empower Paulding is a FREE event for adults and students. Join us as we share resources to empower our community. Paulding County School District is partnering with Microsoft Philanthropies TEALS to build and grow our Computer Science programs. Please help --if you or someone you know works in the computer science or software engineering field and would be interested in making a difference in our students’ future success, please contact Jenna Barton, jbarton@paulding.k12.ga.us. 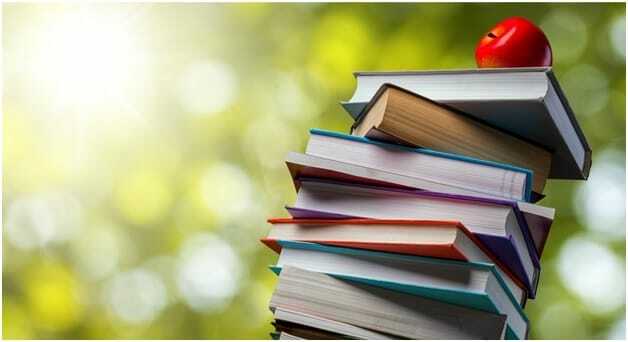 Supplemental resources will be on display for public review from 4/10/2019-5/3/2019 at the Paulding Virtual Academy 4555 Dallas Acworth Highway Dallas, GA 30132, Room 112, from 10:00 am – 2:00 pm, Monday-Friday. The Paulding County Virtual Academy is now accepting applications online. Click here for more information. In this episode of EIP Student Spotlight, meet Nicole Frey, a senior at Paulding County High School who is doing extraordinary work at the school's Academy of Science Research and Medicine.